Plant-based "meat" producer Beyond Meat is betting on it: The company is taking on the beef burger with Beyond Burger, a vegan veggie-based patty that is meant to look, cook, taste and even "bleed" like red meat, but that is healthier and more sustainable. Some developments. I attended a health summit called eat4earth.org and learned a little more about toxicity of plants. Besides soil depletion (lack of minerals/vitamins), plants will uptake heavy metals, and anything blown in and gets into the soil. Since the green revolution of the 60's we went monoculturing, so many of our plants are grown in depleted of minerals dirt, and with chemicals, synthetic fertilizers are where the nutrients come from most often. Pro tip: Vitamins don't work/absorb well without minerals! Again, I won't eat anything retailed at a grocery store that went through processing. That food better be in its original form with no additive of any kind whatsoever or it's not eaten by me. Extra work, looking for small growers who compost instead of fertilize but it's worth it. Growing your own, testing your soil, preserving, freezing, drying, also work. I think I was able to finally find some oatmeal that is glyphosate free, but I can't be 100% on that, it had bugs in it, that's a good sign. I always look for the bugs, or bug sign, that's one way to tell a plant doesn't have chemicals applied to it. EWG is a good resource to research your foods and waters. Here is an example of one of our most poisonous plants that we feed our people. And, I found some of the best meat I have ever had this last year, just by getting pickier, and pickier, just don't eat much of them. Organ meats are very high in demand in organic circles, the bones can be too as hipsters are into bone broth now. A good book is Sally Fallones Nourishing Broth. I make big batches of it in two gallon pots, then freeze it. Another secret is meat broth, I can get a cow heart for cheap from my Amish friends, I don't want to deal with eating it so I cook it down, and make broth/stock out of it. Don't forget about fermenting your vegetables, very fun, great way to preserve, and get them in season when they taste the best! I also got into growing sprouts this year, sunflower and pea are all I'm doing now but I'd really like to get into the micro green shoots as well. It's a bit of work. Being able to source your own plants, growing them in your own medium and home is absolutely wonderful, and cheap. Factoid: Blood type A's can do very, very well on a plant based diet, and are also more prone to heart disease than Type O blood types who do better with more meat proteins. Here's what's in your beyond meat burger, look at all that processing! enjoy! Hyundai's Super Bowl ad is infuriating vegans. 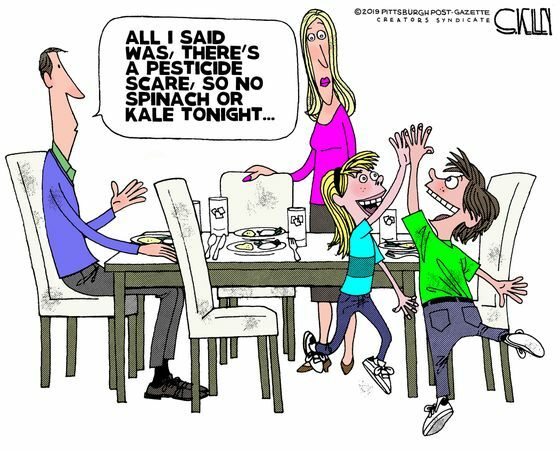 The commercial positioned a vegan dinner party, complete with "beetloaf," as a horrific experience on par with a root canal. I'm closer to buying a Hyundai than at any point in my life! everything wrote: Here's what's in your beyond meat burger, look at all that processing! enjoy! I started getting stomach cramps while reading that ingredient list, but not bad enough for me not to eat my ribeye Philly cheesesteak leftovers for lunch today. I just had a "garden-burger" at a restaurant lately. My first other than some Indians dishes. It wasn't beef, but it wasn't bad either. Bucketeer wrote: I just had a "garden-burger" at a restaurant lately. My first other than some Indians dishes. It wasn't beef, but it wasn't bad either. I just learned that the big competitor, Impossible Foods, will have their Impossible Burger 2.0 in Red Robin burger joints starting April 1. I'm hopeful it is less expensive than the TGIF burger. Actually, I had it in a hospital cafeteria. Looks similar, but ???? It was tasty, but it definitely wasn't beef. There's a local hoagie shop here that has been serving the Impossible Burger for a while. It seems to get good reviews but I have yet to try it. It's just lunch, why not? <snip>, the bones can be too as hipsters are into bone broth now. <snip>. Ok, your link to the strawberries disgusted me as I always rinse my berries and thought I'd be safe in doing so. Kinda freaked me. So I thought I'd see if I could reciprocate. Fast forward to the last minute. Enjoy. An opinion piece in today's WaPo discussed the meat industry and Impossible Burgers. It quoted Eric Bohl from the Missouri Farm Bureau reporting on his visit to a St. Louis area Burger King, on their Impossible Whopper "If I didn't know what I was eating, I would not have known it was not meat." The op-ed writer then took his son to a Red Robin, where they ordered identical burgers, one meat and the other not. He said tasting them side-by-side, they could discern an ever-so-slight difference, but they were equal in terms of yummminess and burgerismo. Hopefully the Burger King test goes well so they take it nationwide. Poach a big doe, and grind it up with 30% pork. It's the best burger you'll ever have.